Features: Tahoe Mountain Resorts Lodging welcomes guests to its vacation condominiums, where families and friends can live the Lake Tahoe experience luxuriously. 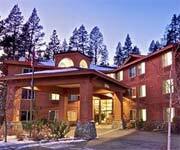 Tahoe Mountain Resorts in Truckee give those who stay here all the services and amenities that you'd find at hotels - and all the wonderful comforts of a vacation rental. 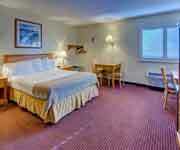 The specials and packages available throughout the year at Tahoe Mountain Resorts Lodging are designed to make your trip more fun. 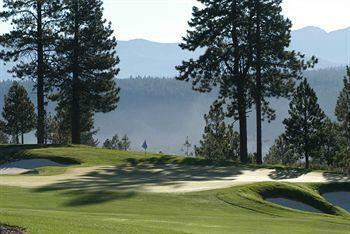 Why We Stay: Tahoe Mountain Resorts in Truckee lets you feel surrounded by all the luxury that you can soak up. 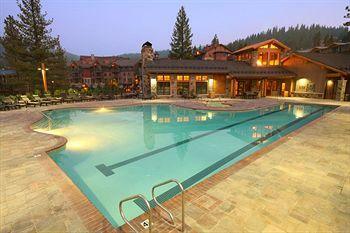 The Luxury: Tahoe Mountain Resort condominiums give you the luxury that you love. 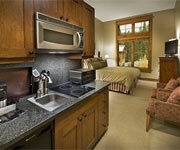 Featuring the amenities that you'd find in an upscale home, Tahoe Mountain Resorts in Truckee knows that you want things like laundry machines and well-equipped kitchens in your unit. 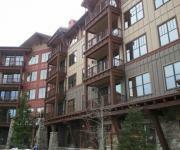 The Packages: Tahoe Mountain Resort condominiums can be a steal when you scoop up one of the current promotions or specials. 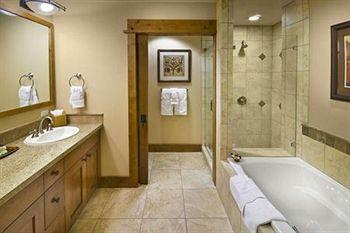 Grab your girls and make a getaway to Lake Tahoe for several days of relaxation. The Girls Just Wanna Have Fun Package treats you and your best girlfriends to 3 nights lodging in  high-end 3 bedroom, 3 bathroom residence, private yoga instruction, beading party, bottle of wine and $100 dining credit each for Baxter's Bistro. 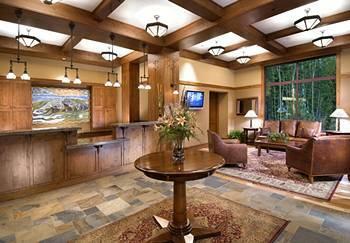 The Concierge: Lake Tahoe Mountain Resorts Lodging can make activity planning so easy. Instead of having to figure out arrangements yourself, you can contact the professional concierge staff to have them help you with all the details. 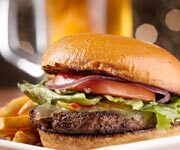 If it's your first time in the area and you want to know where the best places to go eat are located, the concierge staff can help you narrow down your top picks and get reservations at those establishments. 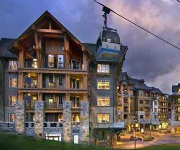 Inside Knowledge: Tahoe Mountain Resorts Lodging keeps things high-tech with an entertainment system in every single unit. 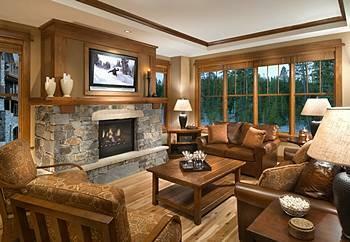 Tahoe Mountain Resorts in Truckee give you many things to watch on the TV in your condominium. 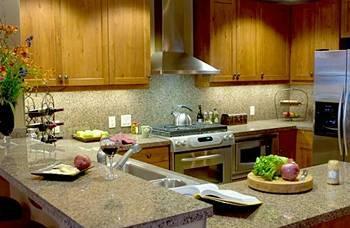 Do Hone Your Cooking Talents: Get to work in your room's gourmet kitchen. The kitchen looks so nice that you'll want to spend more time there. Have fun with cooking and plan the cuisine around a different theme each night. Maybe you can do Italian pasta for dinner one time and an Asian stir fry another evening. Let your inner culinary artist emerge! Do Park Your Car Comfortably: Lake Tahoe Mountain Resorts Lodging features heated underground parking so that you and your car won't freeze like ice in colder weather. Don't Wonder Where To Store Equipment: You can put your belongings into the private ski storage lockers at Tahoe Mountain Resorts in Truckee. Don't Stay Out In The Cold: Come on in to the outdoor hot tubs to treat yourself and relax. 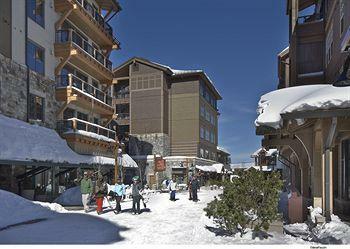 Tahoe Mountain Resorts is the large village at Northstar ski resort. They put a lot of money into this place and you can really tell! It’s like a whole alpine village type setting. There’s a bunch of shops, restaurants and even a nice outdoor ice skating rink. You kind of have everything you need here. 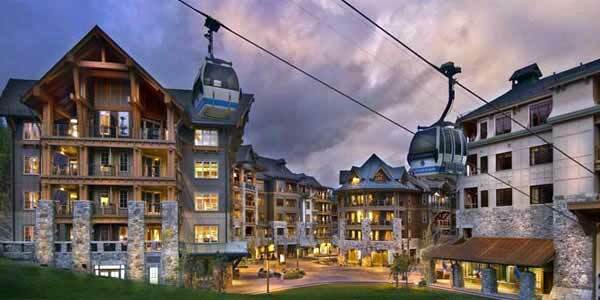 You can also just walk straight up to the ski lifts from the rooms here, and then ski back down to the hotel. 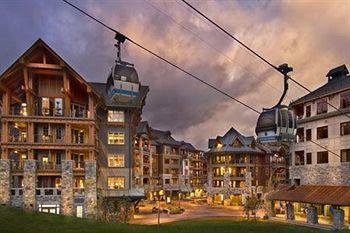 There are also a few convenient rental places for skis and snowboards. They have great accommodations here too. 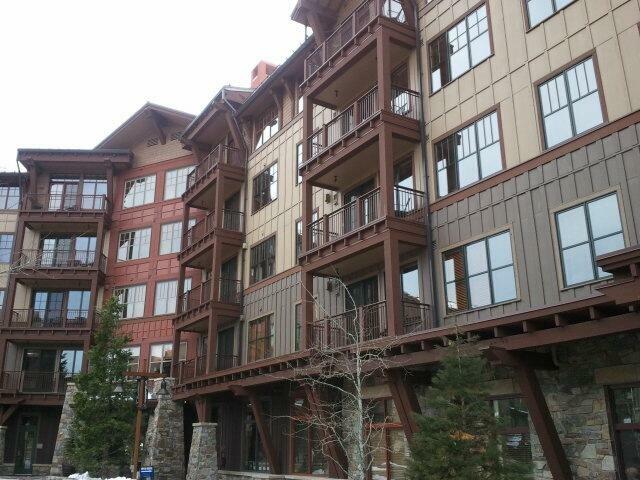 It’s really a nice place to stay, especially if you want to ski up in Northstar. After a full day carving the slopes, lay your body down upon the most heavenly-feeling, premium bedding with its super soft cotton linens. For extra guests, the sofa bed is there to provide a blissful night's sleep too. This two bedroom, two bathroom residence measures in at a whopping 1200 square feet. If you want your muscles to feel alive again after all your skiing, use the deep soaking bathtub in the bathroom to make it happen. 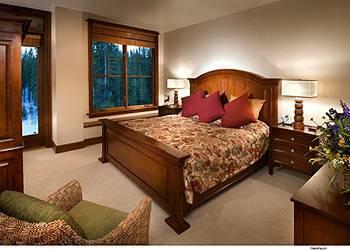 The premium bedding in this unit invites you to sleep in bliss. From this 320 square foot residence, you can see the mountains and the courtyard before you. Catamount Lodge Suite will please your ears with music from the CD player - bring CDs along if you'd like to play them here. When you're not listening to tunes, you can tune in to the news or a sitcom on the TV, or pop a movie into the DVD player or VCR. Head to your private kitchenette for some merry meal-making. 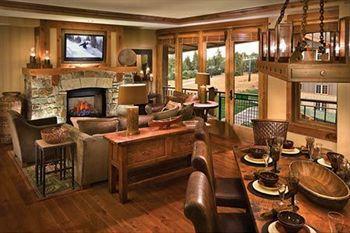 The three bed/three bath Iron Horse residence provides 1655 square feet of premium living space. 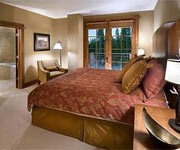 Look out onto incredible views of the mountains and courtyard at Tahoe Mountain Resorts Lodging. Breathing in the delicious air feels absolutely luxurious from the furnished balcony here. Gather with your travel companions in the living room or share a meal in the dining area. When you come in from the cold and crisp mountain slopes after skiing, you can warm up in the best way: cozied up in front of the fireplace. 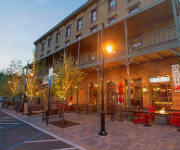 Check out these great tahoe restaurants near your hotel.